A kind-hearted donor has met the man whose life she saved when she gave her kidney to a stranger five years ago. 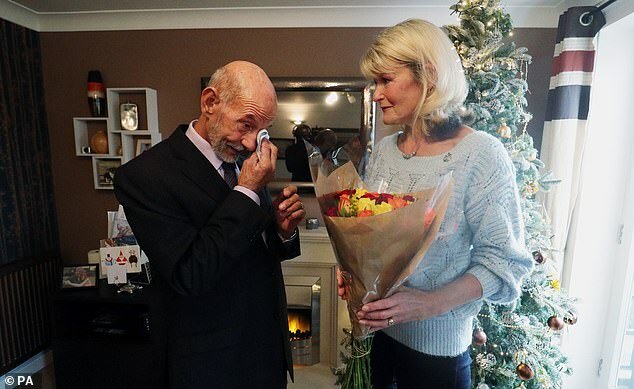 Teresa Dobson, 62, and Joe Salvatore, 70, both broke down in tears upon meeting for the first time in Kings Langley, Hertfordshire. The pair had exchanged anonymous letters for years – but hadn’t found the chance to meet until this week. Mrs Dobson decided to donate her kidney when she heard on the radio it was possible and thought ‘I could do that for somebody’. She said: ‘I have good health and I had two kidneys and I only needed one of them. 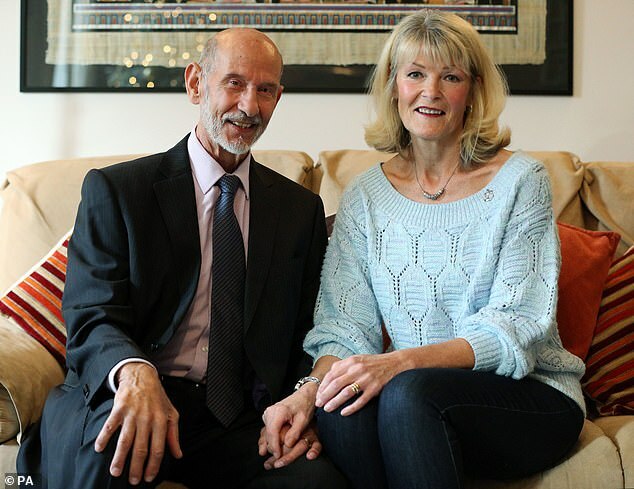 That person was Mr Salvatore – who said his ‘life was changed’ by the transplant. The martial artist, from New Malden in Surrey, said: ‘Everybody says how much better I look. I feel better. I feel fitter. ‘Teresa’s made my life a whole new life again and I’m able to enjoy my life with my family, with my group of friends. Mrs Dobson, from Kettering in Northamptonshire, played down her donation, which was organised through the charity Give a Kidney. She said it was ‘just one of those things’ she could do to help – and she would rather do that than run a marathon. ‘Lots of people do lots of wonderful things for people, like running marathons and raising thousands of pounds,’ she said. ‘Well I hate running and I’d rather give a kidney away any day. 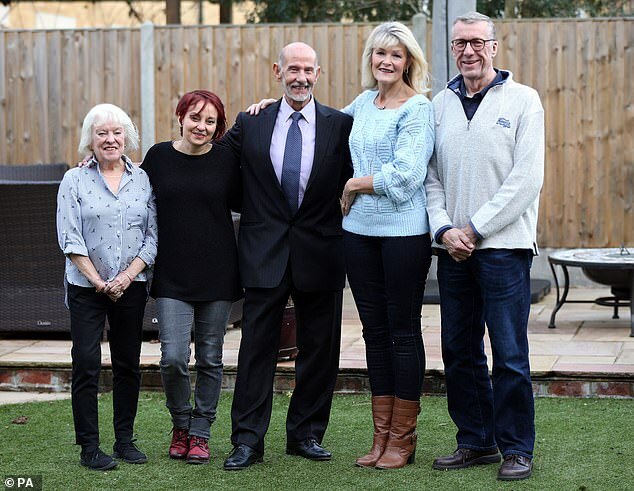 Mr Salvatore had been treated for renal failure for 15 years until eventually doctors made it clear he needed an urgent transplant because both his kidneys were failing. His wife and daughter had both initially offered their kidneys, but doctors found they were not suitable. His daughter Carmel Dalby donated her kidney to another stranger in a four-way altruistic donor chain to help her father receive one. ‘Really if it wasn’t for her I wouldn’t have got a kidney,’ Mr Salvatore said of his daughter. Mrs Dobson and Mr Salvatore at first exchanged occasional anonymous letters, arranged through their hospital transplant units. ‘He’d been in touch with me every year since, letting me know how he was getting on, and I always responded,’ Mrs Dobson said. Then one day she sent a letter to Mr Salvatore, suggesting they could meet up in person, and he was ‘very happy’ to do so. ‘I was very nervous,’ Mr Salvatore said. ‘Meeting Teresa for the first time today, I promised I’d be strong. But of course at the end I wasn’t. I did break down a bit. Mrs Dobson broke down too, wiping tears from her eyes after she received flowers and a warm embrace.